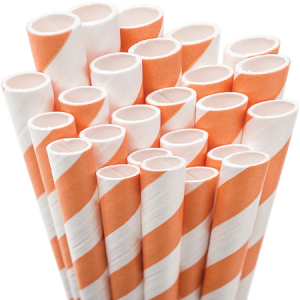 Eco-friendly straws are the way to go! 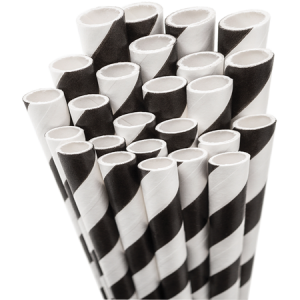 These cute striped paper straws look great in cocktails or any party drink. Choose a color to complement your party colors and pair with a personalized straw tag! 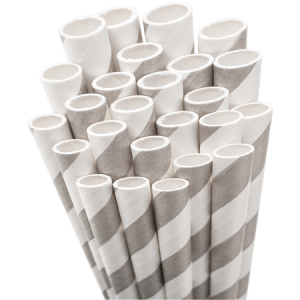 You've gone through the effort to make a special drink for your party, so why not jazz up how you serve it with striped paper straws. 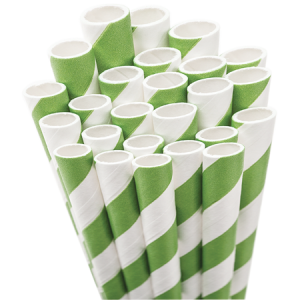 These eco-friendly straws are not only totally adorable, they are also biodegradable straws and compostable straws. 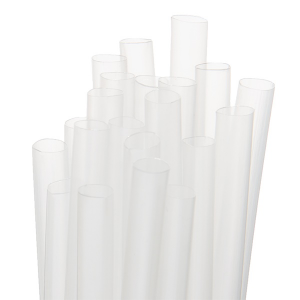 This means you can use these disposable party straws guilt free! 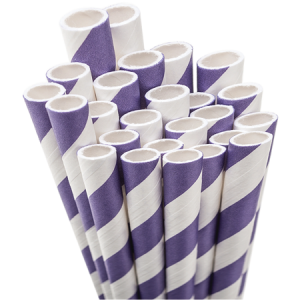 Striped straws are also the perfect complement to personalized For Your Party straw flags. 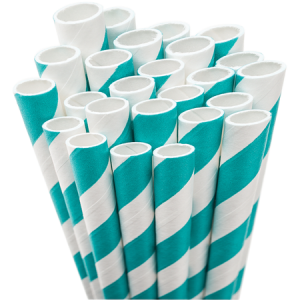 Throw a fun party straw into your baby shower punch or brunch infused water. Serving mimosas? 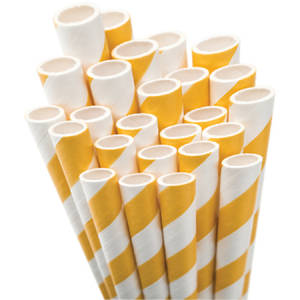 These also work wonderfully as cocktail straws! 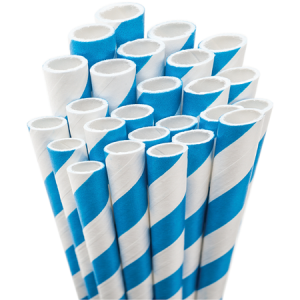 For Your Party offers colorful striped straws in a variety of colors so that you can match your personalized barware to any party decor. 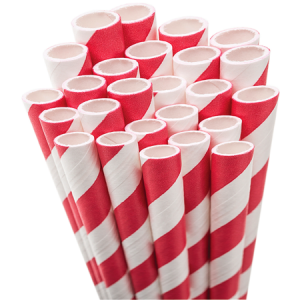 With personalized barware, it's only fair that you can also have personalized straws. 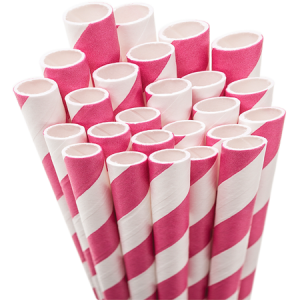 You'll have as much fun picking these trendy paper striped straws out as you will using them!